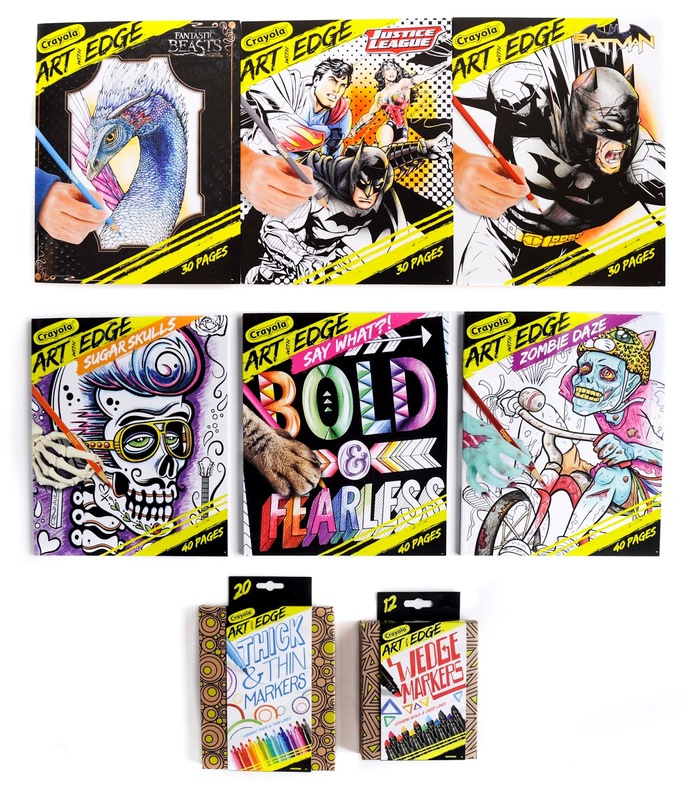 I was so excited to receive the Art With Edge Coloring Books and markers from Crayola in exchange for an honest review. What is Art With Edge? 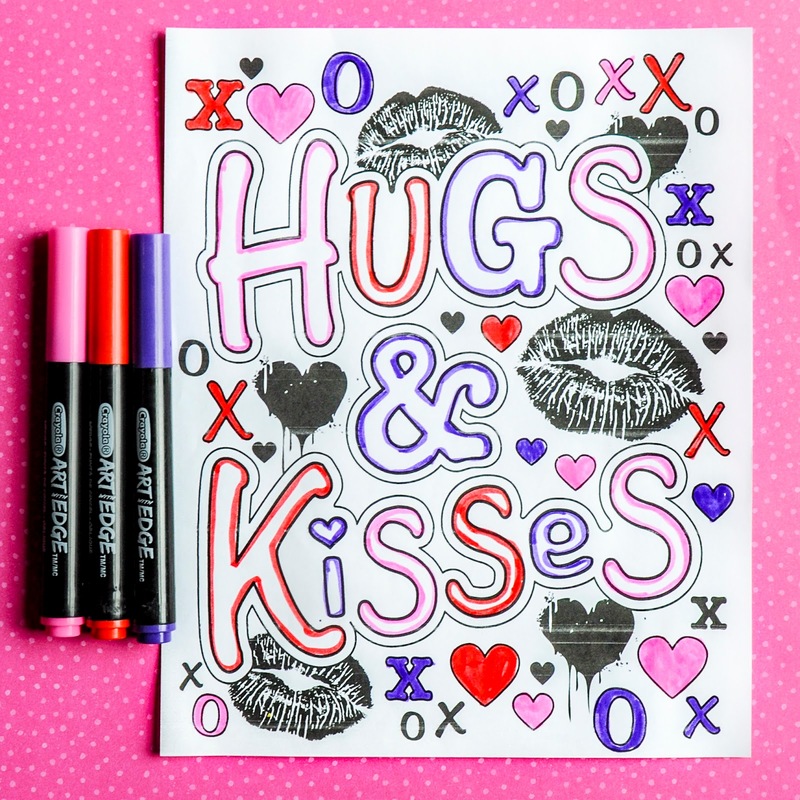 Art with Edge is a new line of books/coloring pages geared at the tween and teen audience. There are some really fun and cool books to choose from. There are also sets of markers and colored pencils to go with them. My kids, 4 and 6 even loved them. We colored pages from the books all morning. Some of the books are actually loose pages covered in plastic. I can see kids or teens being annoyed by the loose pages, but I liked them. My son got a Cars 3 coloring book recently with loose pages. He said, "the people making the book didn't make this right." I like the loose pages because we like to make copies of the pages here to use. We usually all color the same page at the same time. The loose pages made really good copies. It is also easier to remove the loose pages for framing than to remove the pages from the book for framing. I think all but the Wedge markers are good markers to color with. I found the wedge markers fun, but hard for detail work. I had so much fun coloring these pages. All the books were very unique and had fun pictures to color. Here is what I colored. I have included the instruments I used on each page and in the caption. 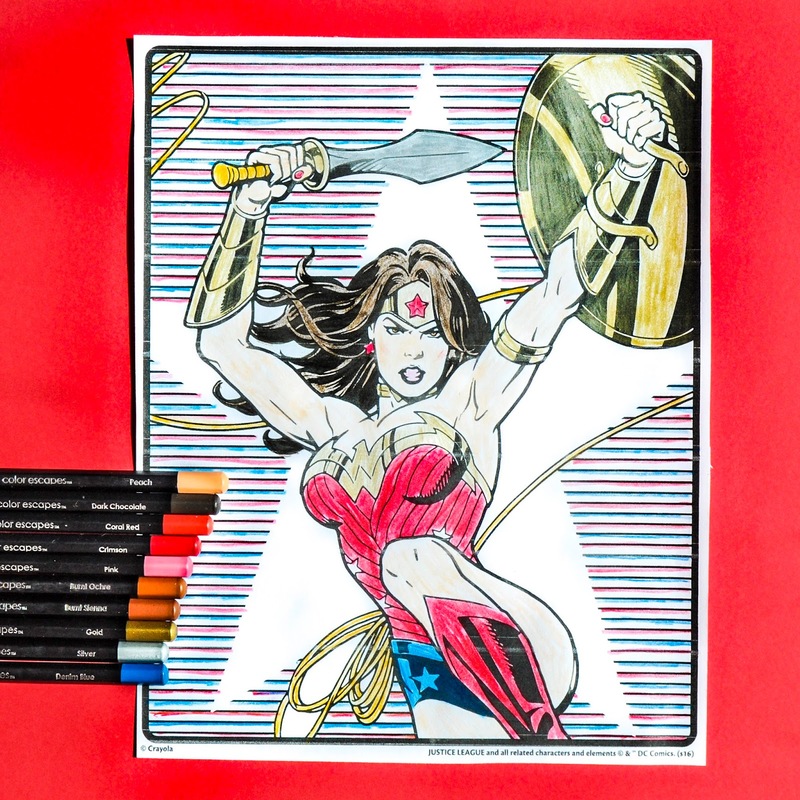 Wonder Woman, Justice League Book, colored with 72 Count Color Escapes Colored Pencils. I love colored pencils for detailed work. Say What? Book colored with Art With Edge Wedge Markers. Bo Bunny paper used in the background. I think these books are great for teens and kids, and even adults. We all had fun coloring the pages. There is a variety of books that will appeal to all personalities. I personally would not have gotten the Skulls or Zombie book on my own, but I know there are a lot of people out there that like those kind of books. I would definitely recommend picking one of these books up. To see detailed collecting product information on all these products click here. 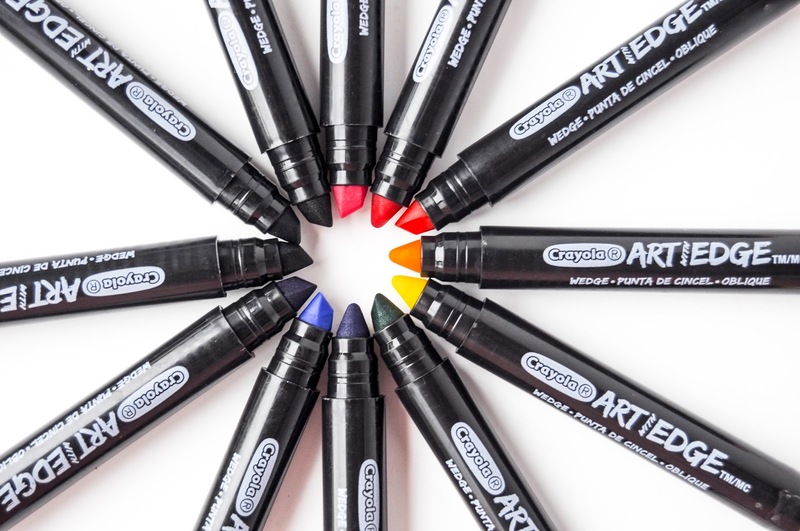 How do these markers compare with other crayola markers for things like bleed-through, spreading, and saturation? Great question Liz. These markers are the same as other Crayola markers, just packaged differently. There was not much spreading, they colored where they were supposed to. One of the pink wedge markers did not lay down as well, but the other two did. I think that one had a slight manufacturing defect. The saturation was really good or normal for Crayola. That is why I love the markers. The markers bleed through the page onto the back, but not onto other surfaces. 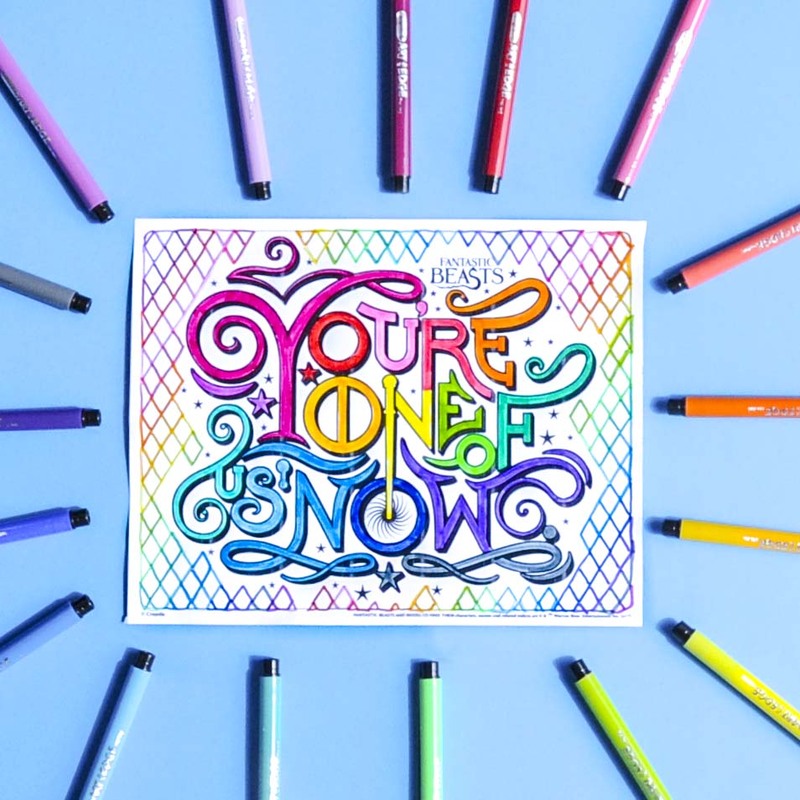 The Color Escapes colored pencils did not lay down as well as regular crayola colored pencils. I will be adding that to the individual product review.